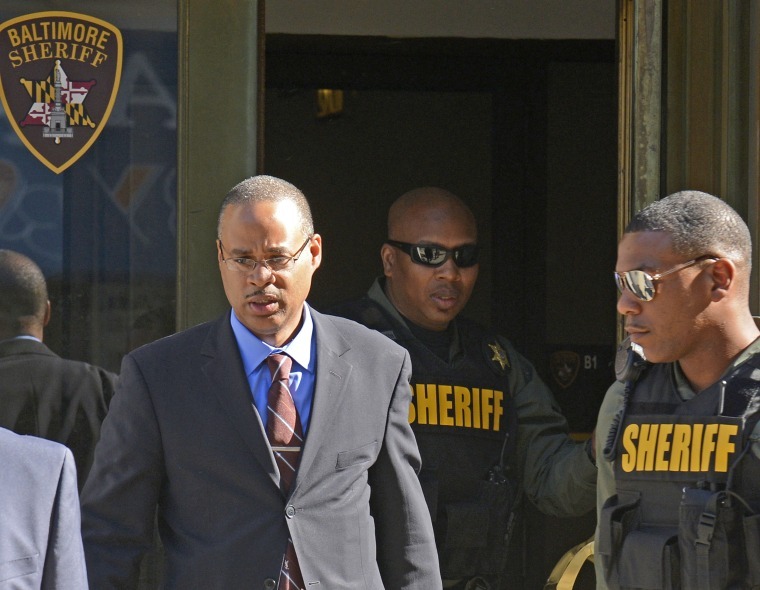 A disciplinary panel has found a Baltimore police van driver not guilty on all administrative charges related to his transportation of Freddie Gray, the black man whose death in custody sparked riots in the city. The three-member board said Tuesday that Officer Caesar Goodson did not violate any department policies the day Gray was fatally injured in police custody. Goodson smiled, appearing relieved, after the not-guilty verdicts on all 21 counts were read. His lawyers hugged each other and patted themselves on the back with loud thumps. Attorney Sean Malone said outside the hearing room at the University of Baltimore that the verdict is vindication for a hard-working and soft-spoken officer. He also said that Goodson plans to keep working on the Baltimore police force. Department lawyer Neil Duke had argued that Goodson should have been fired for failing to follow policy by not buckling Gray into a seatbelt, failing to get him medical attention and lying about the chain of events following Gray's arrest in April 2015. Gray died a week later of a spinal cord injury he suffered during the van ride, prompting civil unrest among people expressing outrage at the treatment of African-Americans by police in Baltimore's inner city. None of the six officers charged criminally for their roles in Gray's arrest were convicted. In reforms made as a result of Gray's death, state lawmakers opened police disciplinary hearings to the public, hoping to improve transparency when departments seek to hold officers accountable. Duke said Goodson, a van driver with 14 years of experience, had a duty to pay closer attention to his passenger's condition as Gray banged around in the back of the van, his arms handcuffed and his legs in shackles. He said Goodson failed his responsibility and integrity during the trip to the police station, and was so indifferent to his duty that he didn't make any effort to interact with Gray to check on his physical condition. "It's not a heavy duty to be placed on a police officer to exercise that level of compassion," Duke said. Goodson's lawyers said the department was to blame for failing to properly distribute a policy change making seatbelts mandatory just days before Gray's arrest. They also said outside investigators in the disciplinary case failed to seek out or include evidence that could have exonerated Goodson in the arrest and transport, which involved multiple officers at six different stops. Attorney Thomas Tompsett Jr. accused the department during the disciplinary hearing of trying to run over his client in "a bus without any evidence." "Not every accident has a villain, but Mr. Duke would have you believe that's the case," Tompsett told the board, comprised of two Baltimore Police Department officers and an outside chairwoman, Maj. Rosa Guixens of the Prince George's County Police Department in Maryland. Of the six officers, Goodson faced the most serious charge in criminal court: murder. But he, Lt. Brian Rice and Officer Edward Nero were acquitted at trial last year, and then prosecutors dropped charges against Sgt. Alicia White and officers Garrett Miller and William Porter. Nero and Miller accepted disciplinary action, according to the police union attorney who represents them. Neither their attorney nor the department would say what that discipline was. Rice and White still face disciplinary action before an administrative board.